There is always a need to be punctual in everything worth doing. Just as it is – to visit office in a timely order on daily basis; extending the same practice towards other crucial activities and areas of life is indubitably ideal. When planning personal events and functions, here is the time to take extensive care and organisation. Time is the most important factor to concentrate upon besides making available — the estimated cost for the event. If worst come to shove; start planning on how and when a caterer should be informed — it should also be done in timing to further avoid procrastinations. Have your event caterer informed few months before the proper event. If possible, pay them in advance and book them down for that season. Plus get a verifiable receipt to clarify your agreement with them. Never underestimate the power of effective time planning as this will help you achieve all planned requests rightly. Below are some of the reasons why early booking or hiring is very important and a healthy practice. Once you have booked and paid in advance for your desired services, your brain will be free and you’d be sure to have the time to plan other requirements. For instance, let’s assume you’re planning a big wedding event in the next five months, and you updated and settled with your caterers or general wedding event planners already. Chances are that you’d have enough room to prepare, hire choice of wedding event car, while settling other miniature issues linking to the success of your blissful wedding. Every responsible caterer understands the need for effective and honest customer relationship measures. Once you’re sure that your wedding event management team or caterers are trustworthy and reliable, then you have nothing to fear about. Ensure that you’re headed with other responsibilities and leave his own part to him/her. They’ll surely have you in mind and get prepared to deliver as planned. However, try as much as possible to remind them two weeks and perhaps a week before the deal day. Just to ensure no-one is missing out on something. 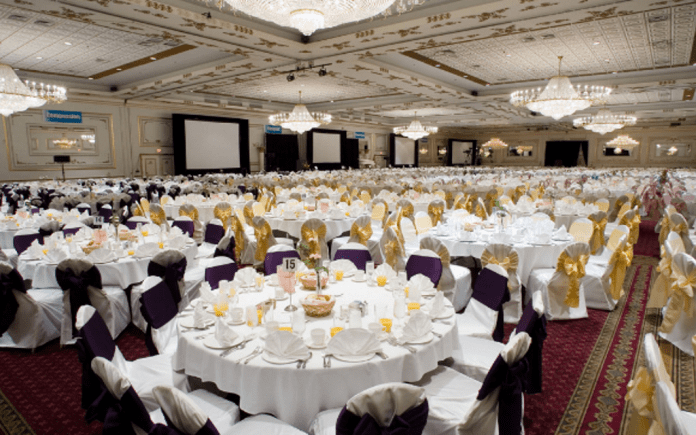 There is also something known as cost inflation and recession in the event management and catering industry; should in case you’re not fully aware of this. As a matter of fact, procrastination is harmful and a thief of time. When you delay; at a later time when you’d be set to update your caterer on the event, chances are that the prices of things must have sprung up.